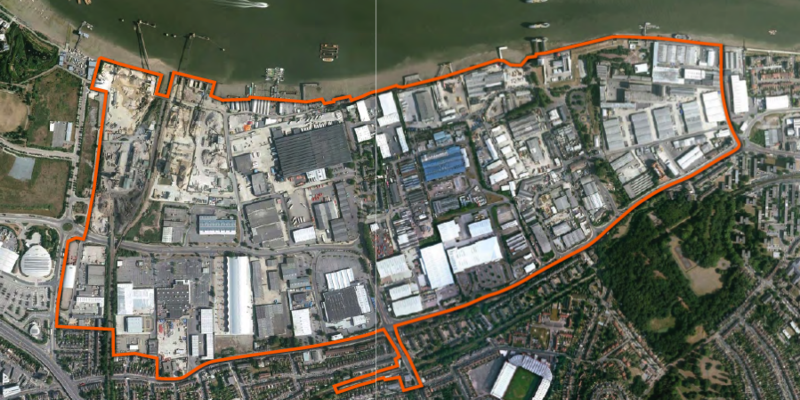 On Monday night Greenwich Council’s cabinet agreed to adopt the masterplan for Charlton riverside. This follows a four week period of consultation and a new document being drafted after responses from the public. 1) The designated area now encompasses Charlton station. 2) A firmer commitment to downgrade Woolwich Road. 3) A mention of a green bridge as one option for a crossing at the eastern section of Woolwich Road. 4) A nod towards enhancing Charlton railway station and improving its connections with other modes of transport. 5) The idea for a marina has changed to “leisure activities on the waterfront” due to concerns from the Port of London Authority that it would interfere with other river uses. 6) There’s a sentence added that calls for a limiting of retail uses in Charlton “to support the aspirations of Woolwich becoming a metropolitan centre”, which possibly came after pressure from investment vehicle Powis Street Estates who own buildings in the heart of the town. 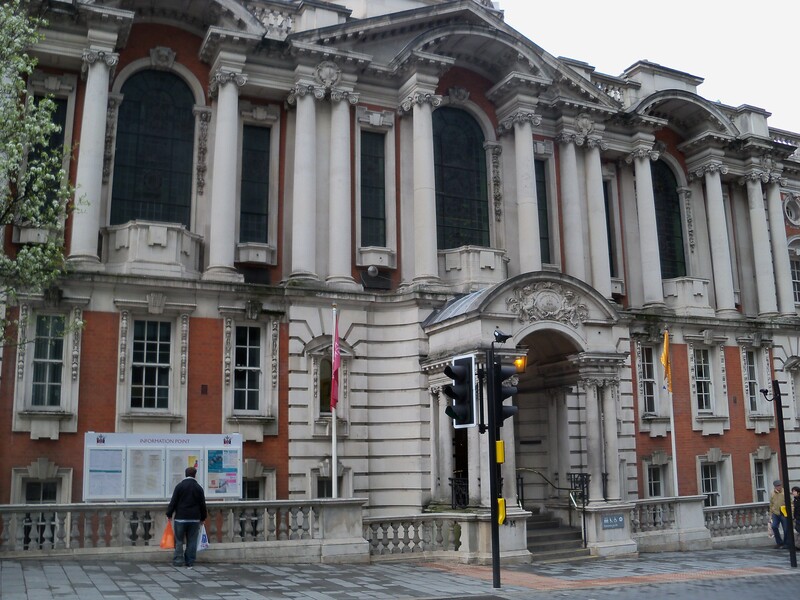 A council officer at the meeting stated that any new planning applications for the retail park would have to fulfill impact assessments so as not to take trade away from Woolwich. Residents also addressed the cabinet at the meeting. Some representing local groups such as CRAG, the Charlton Society and the Westcombe Society. Each underlined the main themes from their formal responses. There were calls for Charlton to be seen as a whole and for residents and businesses to be involved as much as possible. The traversing of Woolwich Road was highlighted as key as well as improving our streetscapes. Charlton Champion reader Ashleigh Marsh also raised the point that blogs (like this one) should form part of the consultation process, or at least noted. 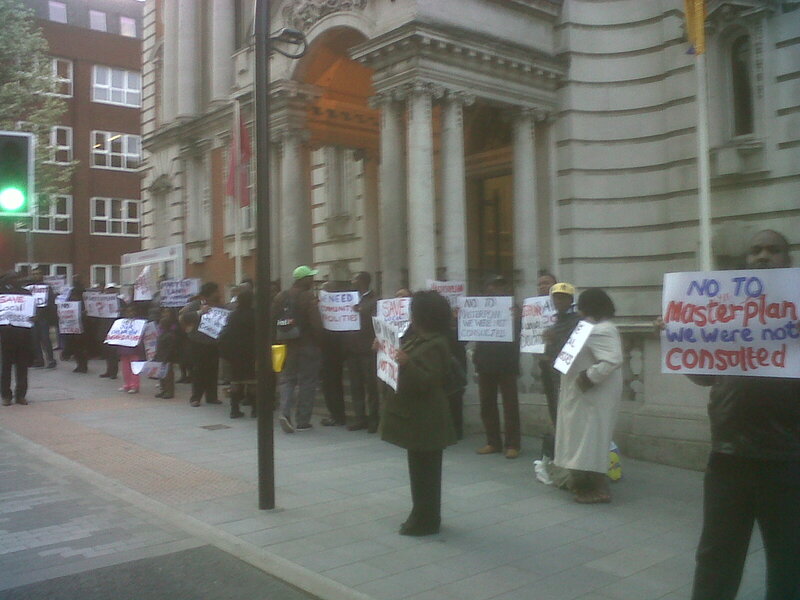 Before the meeting a crowd had gathered outside Woolwich Town Hall protesting at the potential loss of businesses and the poor consultation. On further investigation it’s believed that this lobby group were actually the Christ Faith Tabernacle Church. They’ve recently been in the news with their battle to take over the former Gala Bingo building in Woolwich – something Woolwich’s masterplan conflicts directly with. Why they weren’t more up front with their intentions is beyond me, but it might have something to do with council statistics showing only 10% of these objectors live within the borough. It’s probably best not to get too carried away and come back to what a supplementary planning document actually is. My own knowledge tells me that it will complement the overall plan for the borough. It will add to a “core strategy” and will be taken into consideration in future planning applications. I’m guessing the next step will be to confirm the actual core strategy. Keep your eyes peeled for another consultation period. any new planning applications for the retail park would have to fulfill impact assessments so as not to take trade away from Woolwich. That’s a wonderful example of shutting the barn door after the horse has bolted. Would have been nice to have seen the area around The Valley included as well – I’m amazed that somewhere seen by thousands of visitors to the area each year is allowed to remain a tip. The lack of local knowledge about this plan has astounded me. Unless I read this blog I, too, would be blissfully ignorant of what was going on. The chap from the Co-Op Pension Fund which owns land off Westmoor Rd wasn’t very happy about the Council’s proposals to redesignate swathes of industrial land as primarily residential. There was similar concern from employers in the Woolwich Arsenal area who feared that they may be forced to relocate. In contrast the Council’s buddies at Berkeley Homes unreservedly support the plans.